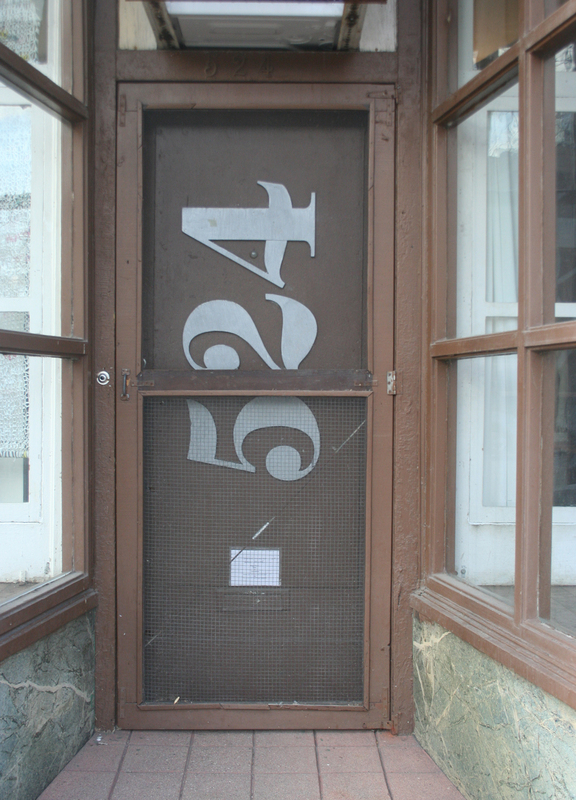 Urban lettering walks are day tours, usually lasting three hours, dedicated to seeking out beautiful, odd and intriguing examples of lettering in the streetscapes of a single city. The tours, which principally take place in the five boroughs of New York City, embrace a wide range of lettering in terms of style, technique and materials: inscriptions carved or cast in stone, painted “ghost” signs on brick walls, decaying neon signs, graffiti and more. Obviously people had difficulty in seeing the address above the doorway. The only solution was to design the house number in a Fat Face so large that it had to be positioned vertically. It looks great except for the screen at the lower portion of the door. I think the numerals are made of steel. 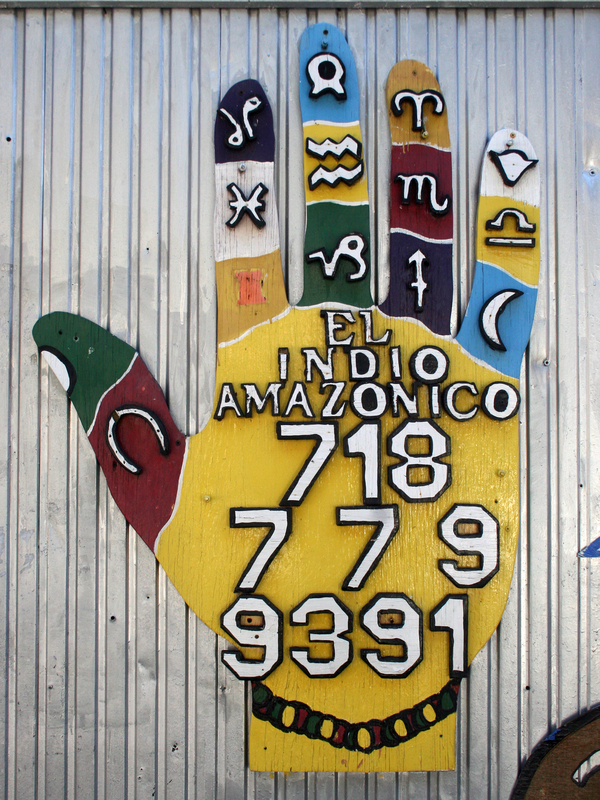 House number in the Lincoln Park neighborhood of Chicago. Photograph by Paul Shaw (2005). 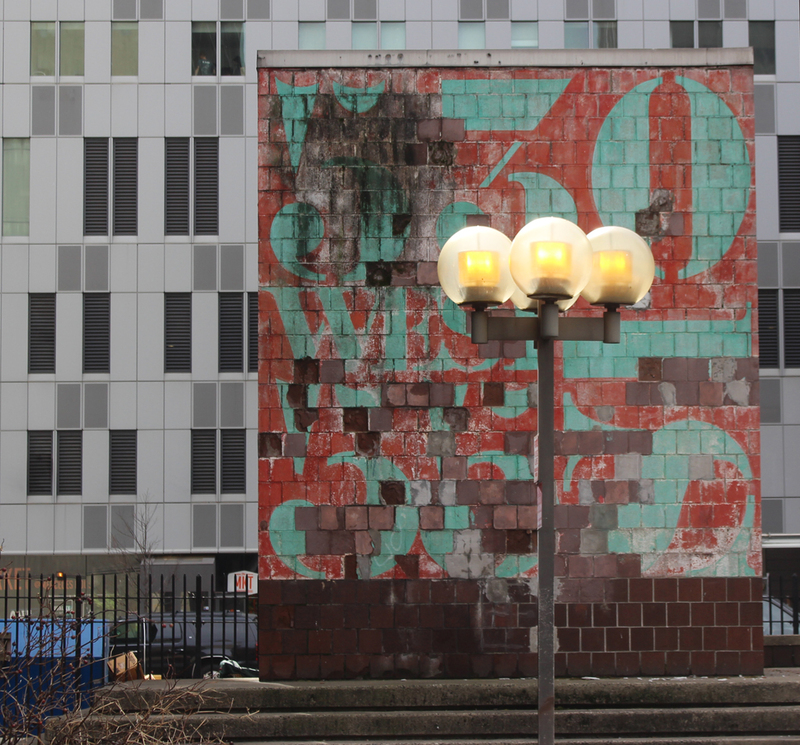 The painted address of the Project Find Clinton Senior Citizen Center (originally known as Harborview Terrace) in New York employs didone stencil letters associated with Le Corbusier. The building was designed by Herbert Mandel in 1977. Whether he was responsible for the decision to use the Le Corbusier stencils for the supergraphics or they were the idea of a hired graphic designer is unknown. 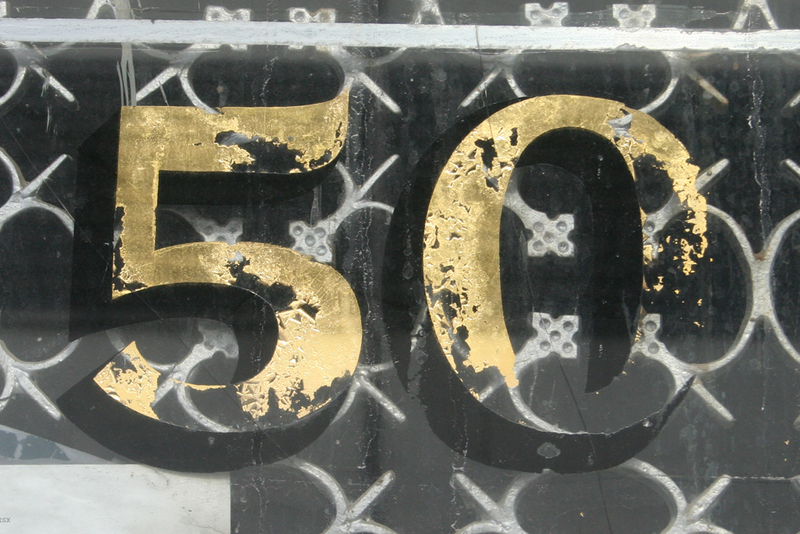 Either way, they look terrific—even covered in grime and with their paint peeling. 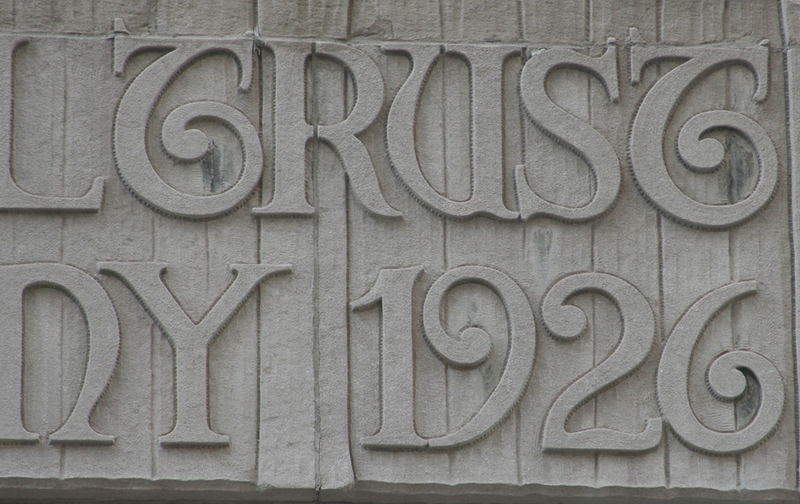 Detail of the cast lettering on the facade of The Federal Trust Company building (1926) in Newark. Photograph by Paul Shaw (2005). CooperType is holding the second annual Typographics conference between June 13 and 23. 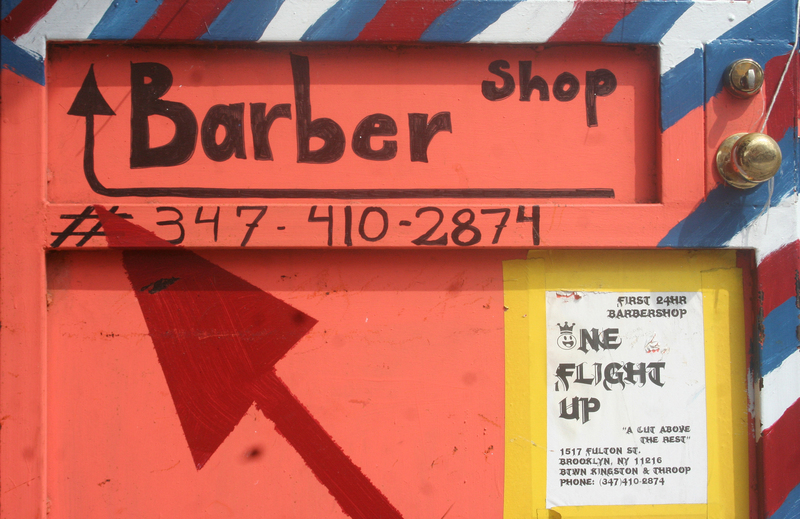 To complement the tours scheduled for Sunday, June 19, I will be leading a lettering tour of Newark, New Jersey. 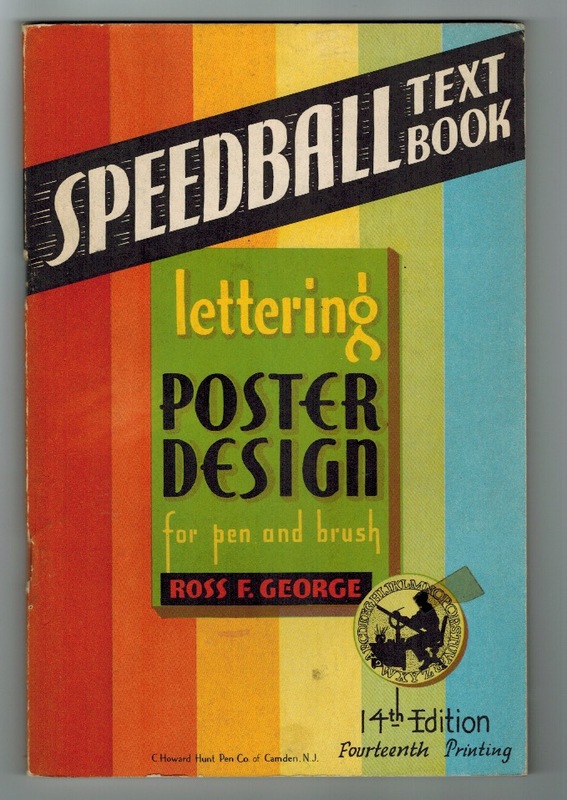 Cover of The Speedball Text Book: Lettering and Poster Design for Pen and Brush (14th edition) by Ross F. George (Camden, New Jersey: C. Howard Hunt Pen Co., 1941). Courtey of Lee Littlewood. 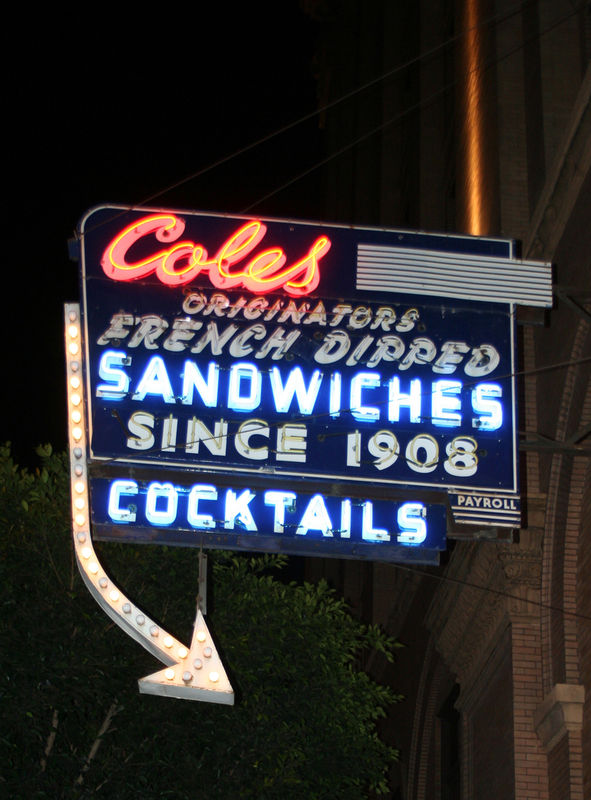 Cole’s French Dipped Sandwiches, 118 East Sixth Street, Los Angeles. Photograph by Paul Shaw, 2010. I will be doing a lettering walk at historic Green-Wood Cemetery in Brooklyn on Sunday, September 14 from 1 to 3 pm. For details and to reserve a place click on the link above. Although I have often included cemeteries in my various lettering tours, this will be the first time that I have done an exclusive cemetery walk. 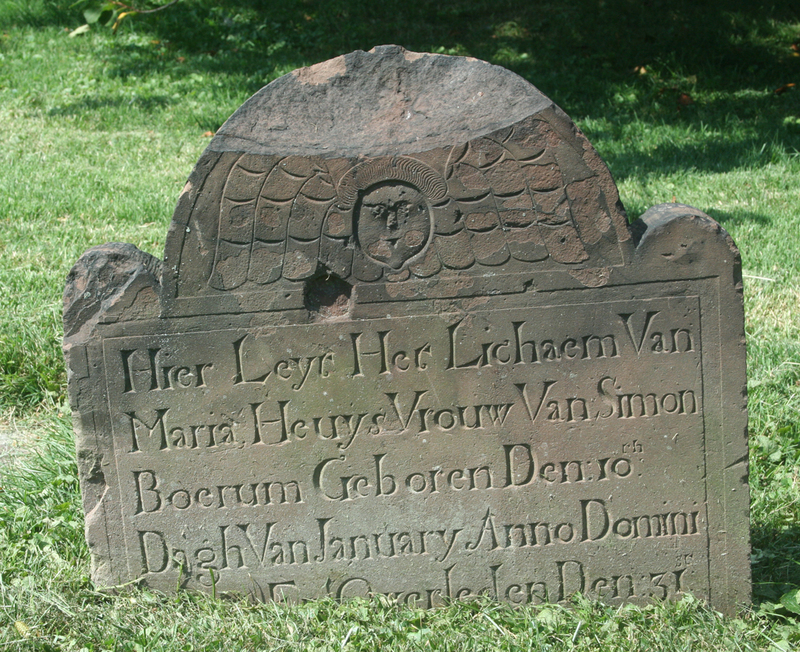 18th century tombstone for Maria Heuys Boerum, Green-Wood Cemetery. Photograph by Paul Shaw (2014). 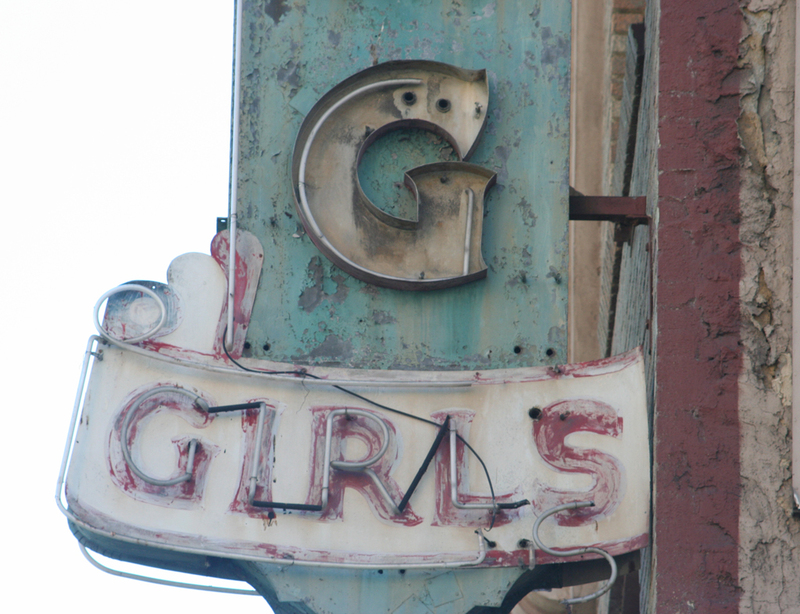 I am leading a lettering walk of Downtown Los Angeles on Saturday, March 2 from 10 am to 1 pm. 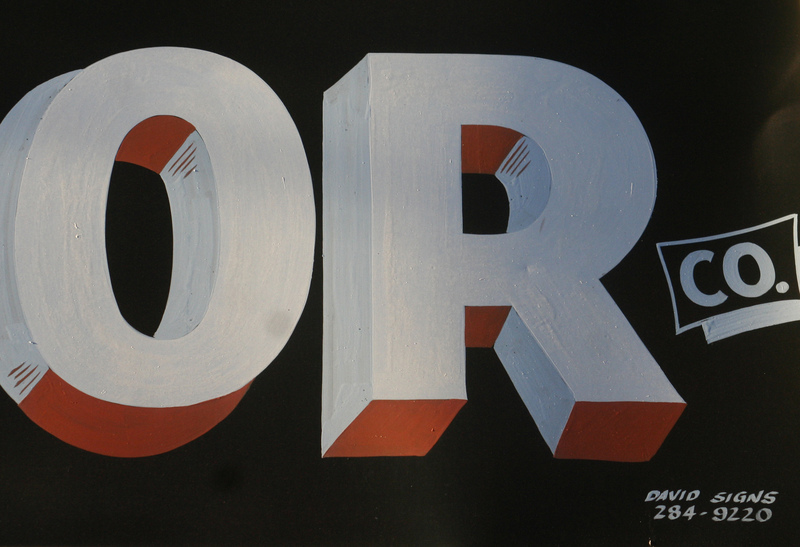 It will be a reprise of one that I did during TypeCon 2010. The walk will take in the usual range of urban lettering sights—carved inscriptions, metal letters, painted signs, plastic signs, vinyl signs, terrazzo letters, vernacular writing, grafﬁti (maybe)—but most of all we will see lots of neon signs, both active and dead. Dancing Girls (detail) neon sign. On Looking: Eleven Walks with Experts. Jacket design by Tal Goretsky.